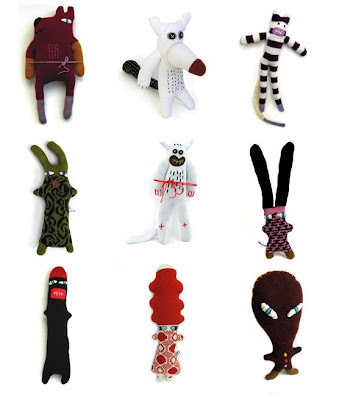 I adore these soft toys from Messy Fish. made from knitted wool or socks, these silly creatures are pretty rad. I think Silvia is my favorite, how about you? I would have to say slivia is m fav also. But I also like one eye. adorable. xo have a great weekend! these are adorable. just adorable.